Nose Art Was Rare Among Commonwealth Air Forces In World War II Untill The Involvement Of The USAFf, But Crews Were Quick To Pick Up Everything From Shark's Teeth Logos To The Raunchiest Of Fuselage Pin-Ups. Phil Smith Presents The Wartime Artwork Of The Late Lac Kenneth Woodward. Don Haggit Profiles Brian Gilkison's Dream That Is, Quite Literally, Taking Off. 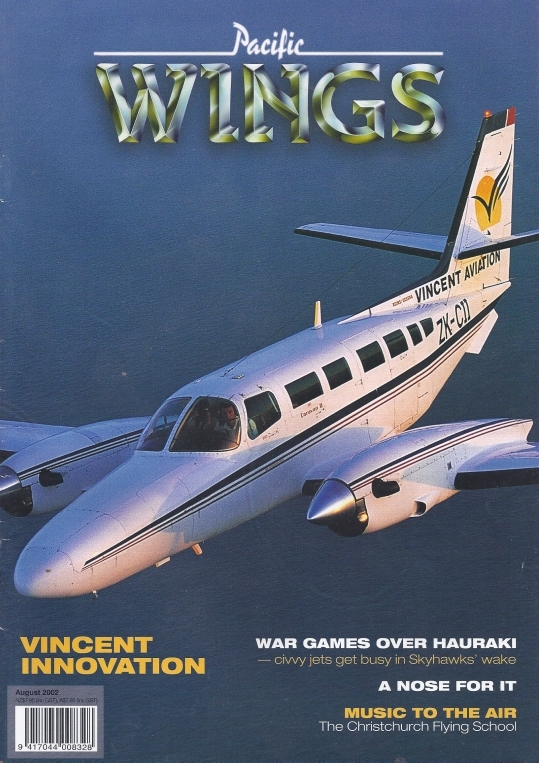 Rob Neil Writes Of New Zealand's Only All-Kiwi-Owned International Airline, Vincent Aviations. Pacific Wings Talks With John Jones. Edgar Rout Recalls Some Of His Fond Memories Of Rongotai. Les Bloxham Writes That The Airline Battles Downunder Are Not Just Shaping Into One Between Qantas And Air New Zealand, But One Between Airbus And Boeing As Well. With The Skyhawks No More, New Zealand's Navy Has Begun To Plug The Gap In Its ""Intercept Control Training""- Dealing With A Low-Level, Fast Moving Attacking Jet Aircraft- With Civilian Contractors. Callum Macpherson Went Along For The Ride In A Recent Bout Of War Gaming In The Hauraki Gulf.